A hardy breakfast that keeps you full until lunch doesn’t have to be bad for you. I love the combination of roasted tomatoes and egg in this dish. Best of all, it only uses one pan. 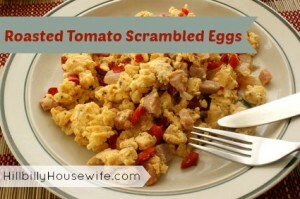 You can easily change things up by adding a little chopped ham or turkey to the scrambled eggs. I cook the meat while I’m cooking the tomatoes. Spray a skillet with a non stick cooking spray. Place the skillet over medium heat. Spread the tomatoes in the bottom of the skillet. Cook 2 minutes stirring once or twice. Drain the tomatoes on a piece of paper towel. Clean and spray the skillet again. 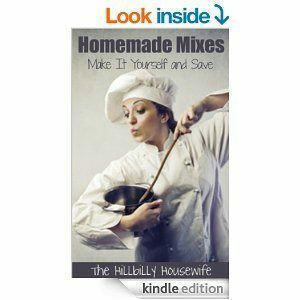 Place the eggs in a mixing bowl. Add the pepper and whisk to incorporate the pepper and fluff the eggs. Add the tomatoes and stir to combine. Pour the egg mixture into the prepared skillet. Place the skillet over low heat. Stir the eggs continuously. As the eggs begin to firm, sprinkle the dill over the top. Continue to stir until the eggs are as done as you like. Consume immediately.